Blog > New vs Used Furniture: What is right for me? Choice– Working with new office furniture gives you the most choice and flexibility to design your new office to your exact needs and specifications. You will have a wide selection of colors, finishes and styles to choose from to match the exact look and feel of your new office. New furniture is often custom built for your space allowing your office to be optimized from a space standpoint, using every square foot of space to its maximum capacity. Warranty– Furniture is a major investment and a big benefit of going the new route is that your investment will be covered by a manufacturer warranty. Discounts– Our clients often benefit from new furniture volume discounts when purchasing 6 or more of the same item (think: desk chairs, desks, guest chairs, etc) and all WorkReady clients receive discounted rates from all of our furniture vendors. Tax-deductible– New furniture may be tax-deductible with other office expenses, something to consider and discuss with your accountant. Cost– the biggest con to the new furniture route is the cost associated with new furniture. Our clients are often shocked by the cost of new office furniture, which we generally estimate to be between $10-$30/sqft or $1,000 – $5,000 per person. This is also an upfront cost, vs something that may be amortized over the term of your lease, although we can often provide financing options for our clients. There are ways to go big or go small in the cost category, depending on your style and furniture needs, but this is often something that causes our clients to think twice about going new. Time– With your choice also comes the time factor. Custom furniture, with specific finishing’s, fabric choices and/or pieces that are custom built for your new office will take time. We generally recommend leaving a window of 8-12 weeks lead time for any new/custom furniture. Since many of our clients want quick, move-in-ready offices, this can often cause new furniture to be less attractive for our time-sensitive clients. Cost Savings– Like used cars, used office furniture can often have significant savings for clients. There are many good vendors out there these days providing great used options. Time– Unlike new furniture, used furniture is a quick turn around and a great option if you are looking for an immediate or turn-key solution, allowing our clients to occupy space in as little as 72 hours. Go Green– Some of our clients have received “green points” for going the used furniture route and in some cases, used furniture can help with certifications you may seek to achieve within your organization. Used furniture is not just great for your wallet- it is great for mother nature as well! Choice– While we source fantastic dealers with plenty of options, you may end up making some sacrifices for the design, color or finish of your dreams when considering used furniture. It can also be difficult to match used furniture perfectly in your space as it is not built specifically for your space. Something to consider if you have odd shaped offices or that hallway corner that is begging to be furnished. Returns/Warranty- With the cost reward, you are also taking on the risk factor of no returns and no manufacturer warranty. The used pieces that we source for our clients is refurbished and generally in fantastic condition, but it can still be a risk that you take on with the used furniture route. Overall, there are pros and cons on both sides of the fence. One of the many benefits of working with the WorkReady team is our preferred pricing, so if you go new or you decided on used furniture, know that you are in great hands with the WorkReady team at your side. 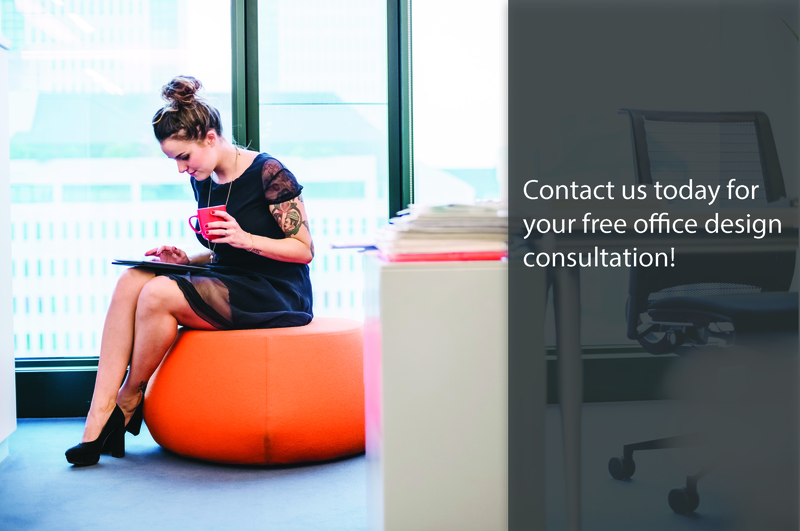 If you are considering used office furniture, contact us today to set up a free consultation with one of our design consultants to review your options!